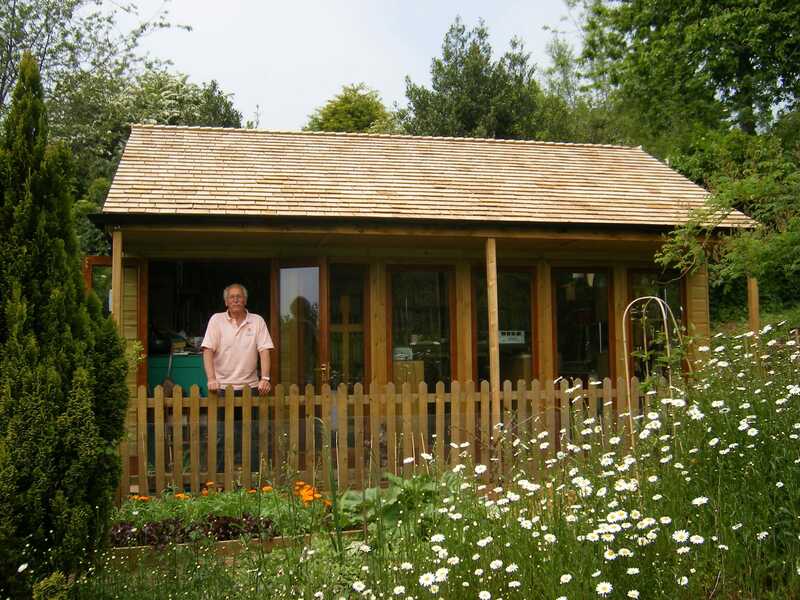 We make timber buildings for all uses, and we think we're pretty good at it! But don't just take our word for it, see our case studies and testimonials to see what we've achieved for some of our happy customers. A bespoke double garage was designed, built and installed for Mr Williams to store his prized motorcycle. Mr Flowers contacted us as he didn’t want a standard garage, but a combination building for use as a carport and workshop. 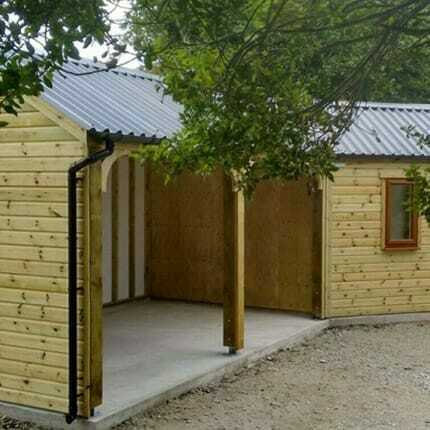 A bespoke timber garage with open fronted tractor store was designed, built and installed near St Austell, Cornwall. A bespoke stained double garage and insulated workshop was designed, built and installed for the Ambler's in Devon. A gorgeous Summer House was designed, built and installed for Charles and Beverley in Slapton, Devon. Mr Ward from Taunton had a rather unusual request, he wanted his own 'Man Cave'. 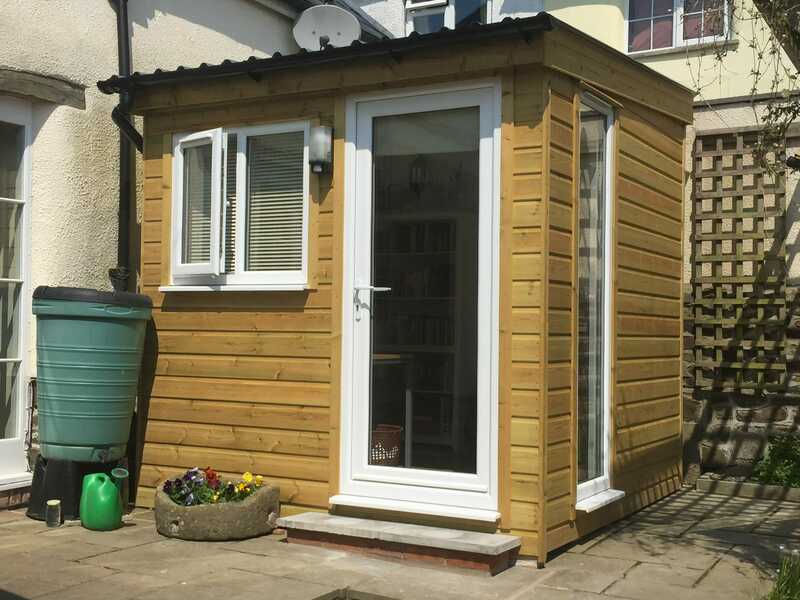 A wonderfully compact 2.5m x 2.5m insulated garden office was designed, built and installed for Mr Smith in South Molton. 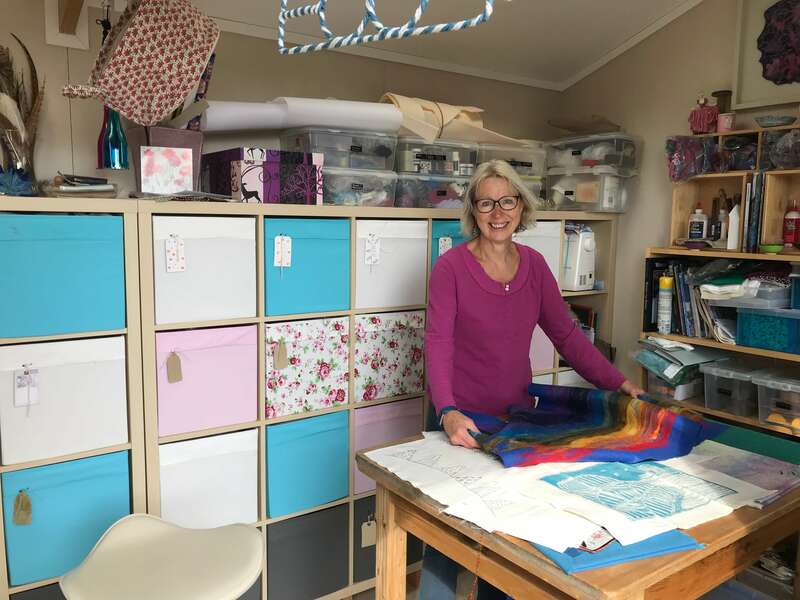 A perfect, cosy art studio was designed, built and installed for Liz at her home in Mid Devon. A beautiful painted timber workshop/store was designed, built and installed for Max near Okehampton, Devon. 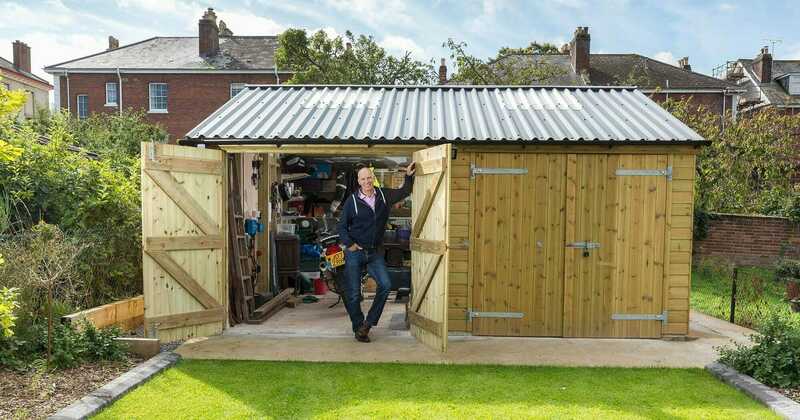 A practical garden shed with pent roof was designed, built and installed for Mr Walters in Exeter, Devon. 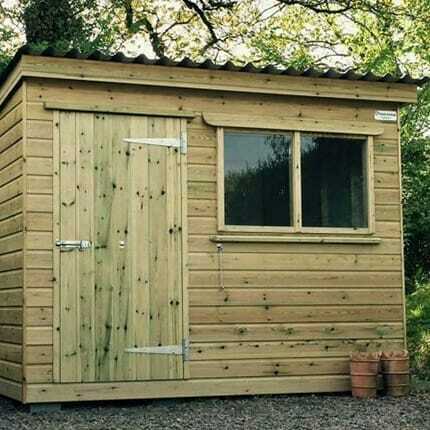 A bespoke timber stable block with hay store, tack room, workshop and trator shed for Mr Davies in Bondleigh, Devon. 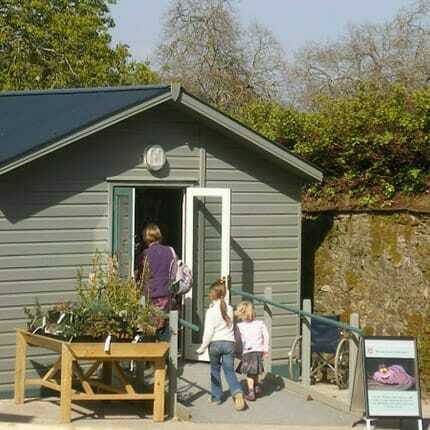 A super new ticket office was created for the National Trust at Antony House, Torpoint Cornwall. We've designed, built and installed many beautiful timber buildings since 1991. See what our customers have to say below. I love the idea of someone who does a full survey, draws up the plans, takes it from start to finish and makes it all simple for me – perfect. As my office had to be compact I needed it designed to suit the space available and to the exact dimensions for my desk to sit under the window. The long side window was a lovely feature to give me more light and enjoy the views of my garden. The whole process of dealing with Shields Buildings was superb, from initial enquiry through to the completion of the job – thank you everyone! 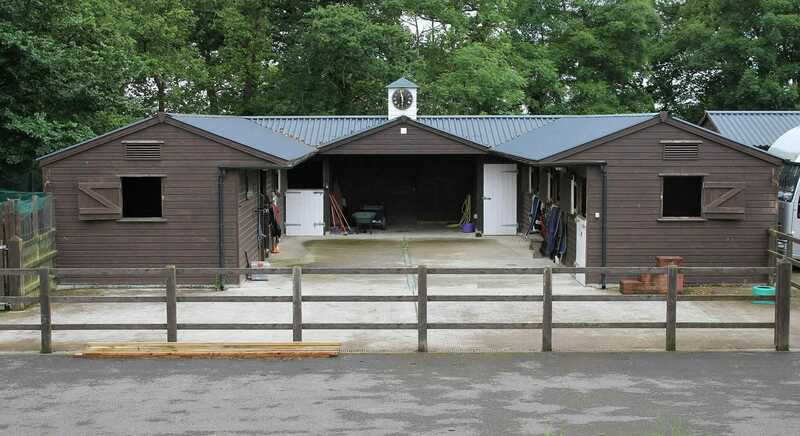 The stables were designed exactly as we wanted them and we are particularly impressed with the finish and attention to detail that Shields Buildings have shown. We are very happy and so too are the horses! 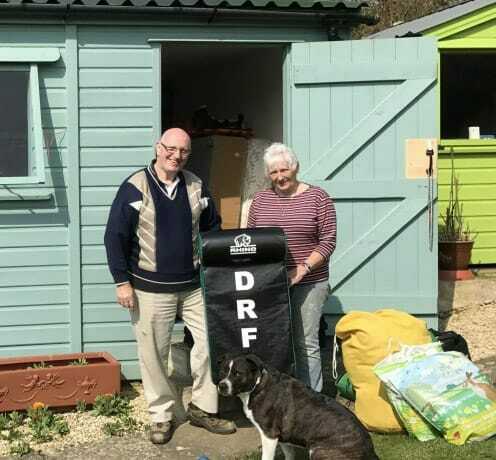 Thank you for the very professional and efficient way Beverley's garden room has been designed and put up by John and all the team. We are very pleased with the building and your service and will definitely recommend you. What impressed us most was the care and detail applied. John carried out a site visit and helped us make various choices. We had some requirements of our own which he was more than happy to accommodate. The team who look after the build and installation were extremely friendly, efficient and hard-working. The quality of their work is top class. In summary, a top quality product from a top quality company. Shields Buildings have made my dream a reality. From the bespoke design through to the installation of my office, John and his team were fantastic. Apart from the “no problem” attitude, they also offered some very useful advice about fitting out the interior. I now have a “Man Cave” that is everything I had hoped for – and the envy of friends and family! Thanks for yet another fantastic job. Everyone who has seen the building has admired it and was amazed at the speed of construction. Please pass on our thanks to your very professional team. The response after my initial enquiry was quick and efficient, with a site visit, plans and very reasonable quote done within just a couple of days. The team who built it have done a wonderful job and I’m absolutely thrilled with the result. I shall be using my new timber garden building as a textile art studio and John was most helpful in making sure there were suitably placed windows and roof lights to give me suitable lighting. I would like to say how pleased we are with the new garage and workshop. The price was extremely good and excellent value. Your workmen did an exceptional job in preparing and laying the groundworks and completing the garage and workshop with the minimum of fuss. 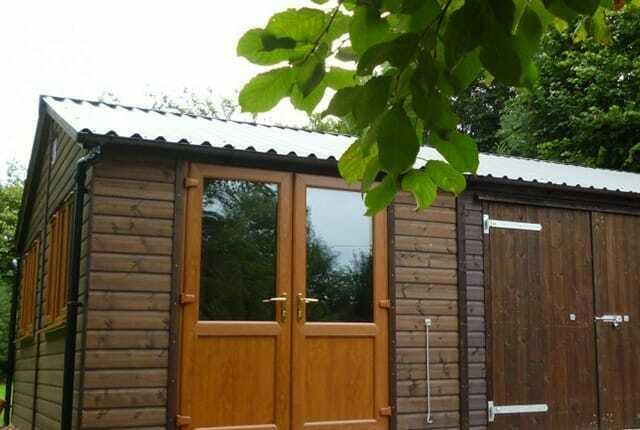 I would definitely recommend Shields Buildings to anyone who wants a timber building. Obviously a lot of thought has been put into the design of the components and this has made for straightforward erection of the building. Your team has been a pleasure to have on the site and every effort has been made to discuss with me the various stages of the erection of the building. Thank you, everyone, for the care you have taken. All-in-all, we would have no hesitation in recommending Shields Buildings to anyone that appreciates attention to detail, enjoys being treated as a proper customer and wants an end-product of genuine quality. Having purchased several buildings from Shields Buildings now I can confidently say that the service, quality and attention to detail is second to none. I wonder if I have space for another…?